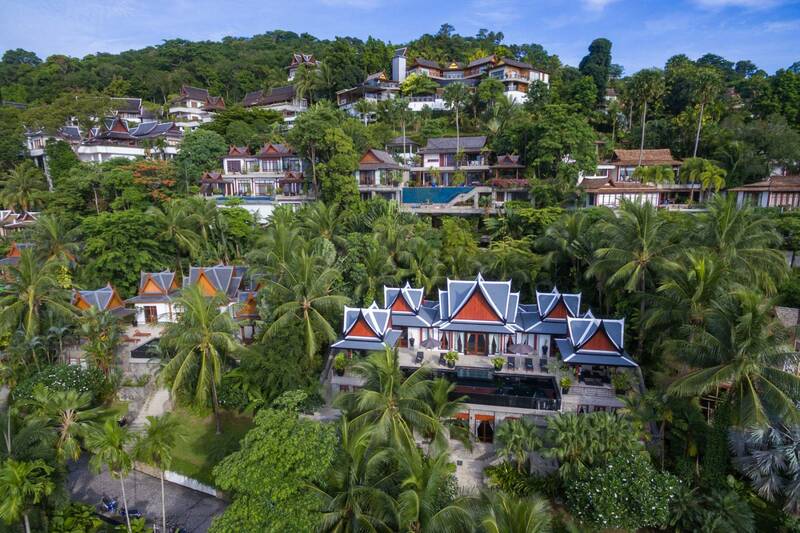 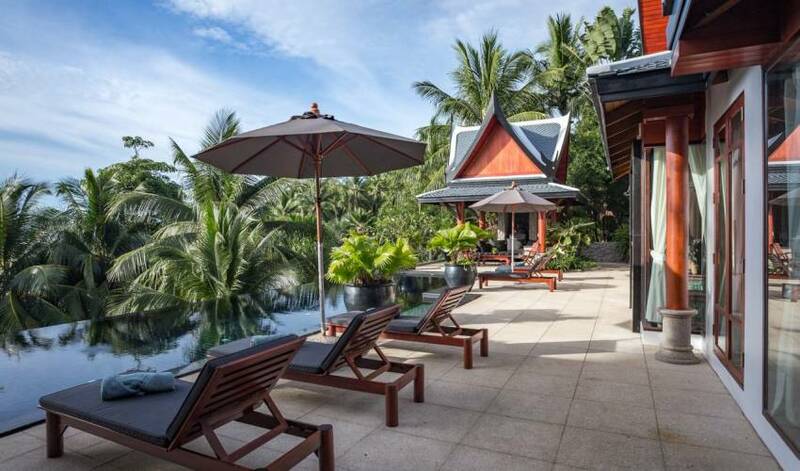 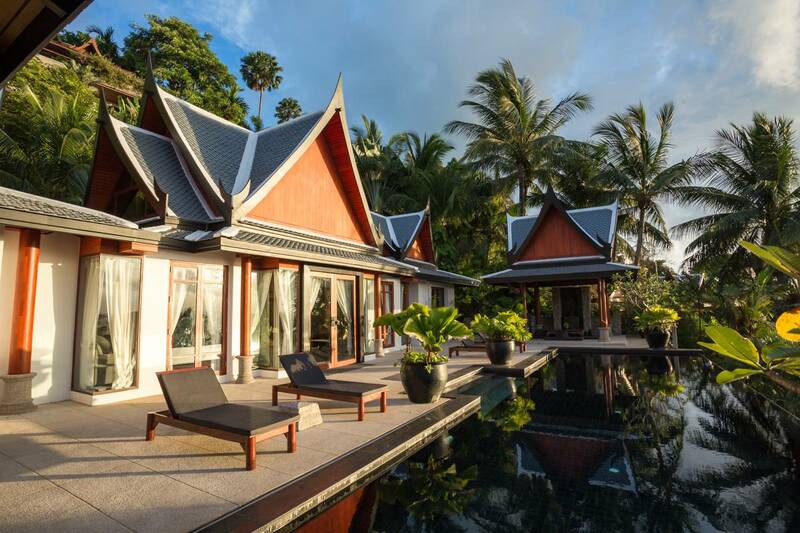 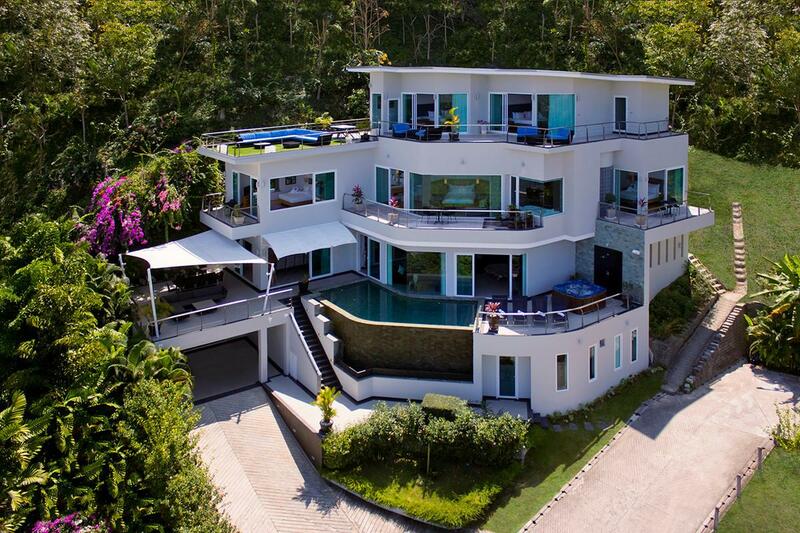 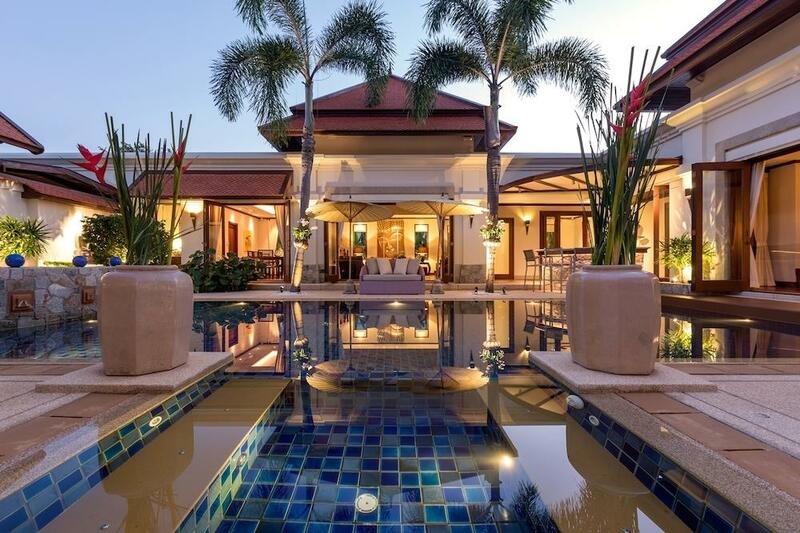 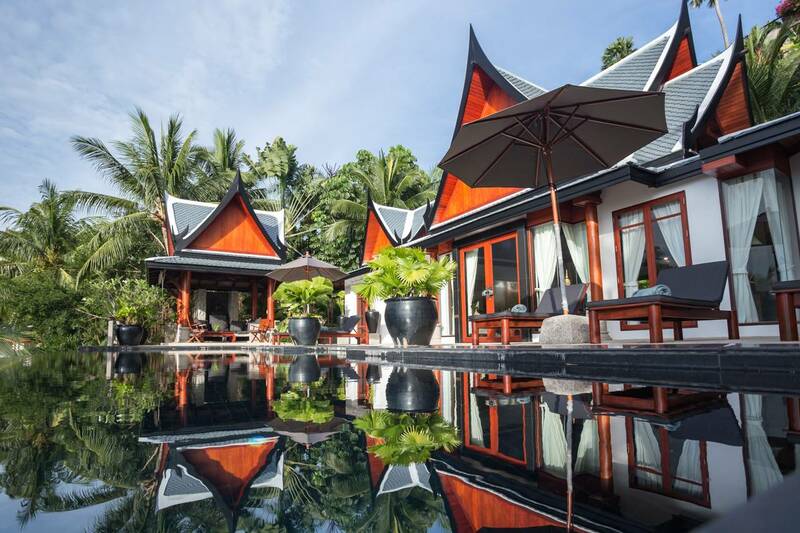 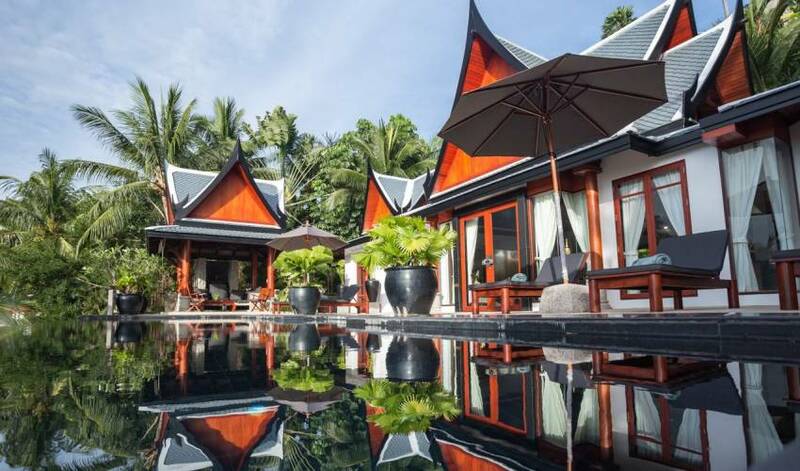 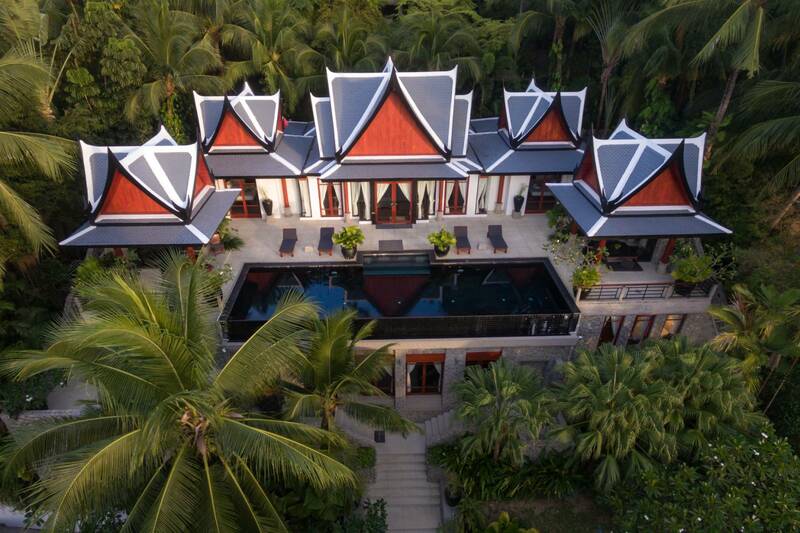 A magnificent 5 bedrooms luxury Thai style villa is perched on a tranquil hillside overlooking the beautiful Surin and Bang Tao beaches on the popular west coast of Phuket. 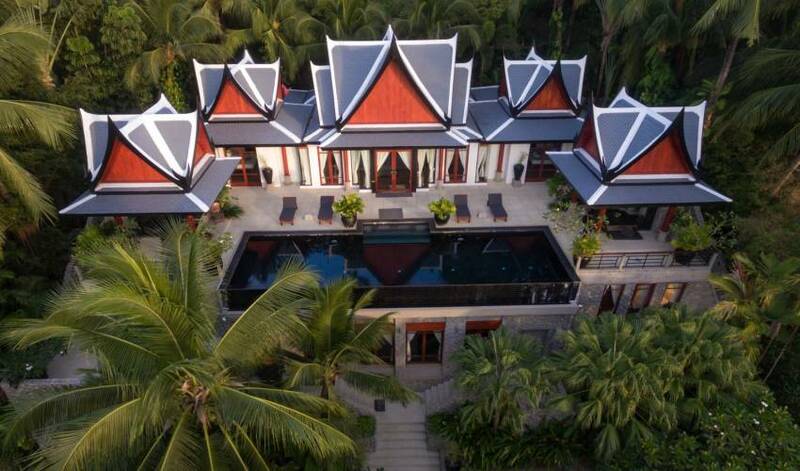 The villa boasts five large king sized bedrooms all with en-suite bathrooms, tastefully furnished with Asian art luxury linens. 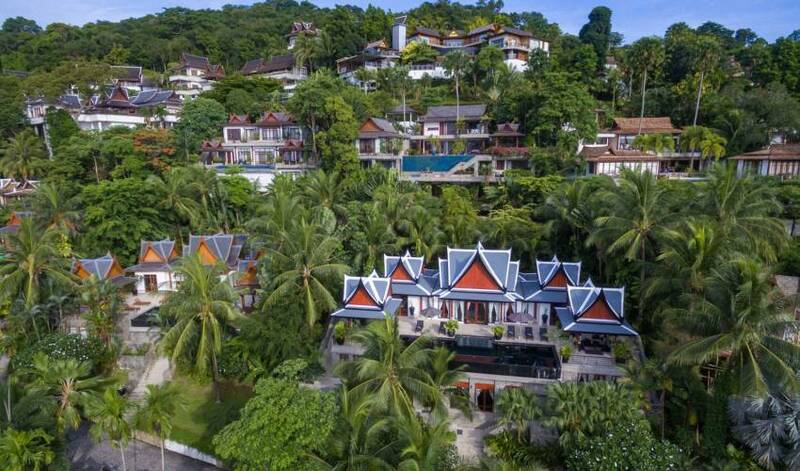 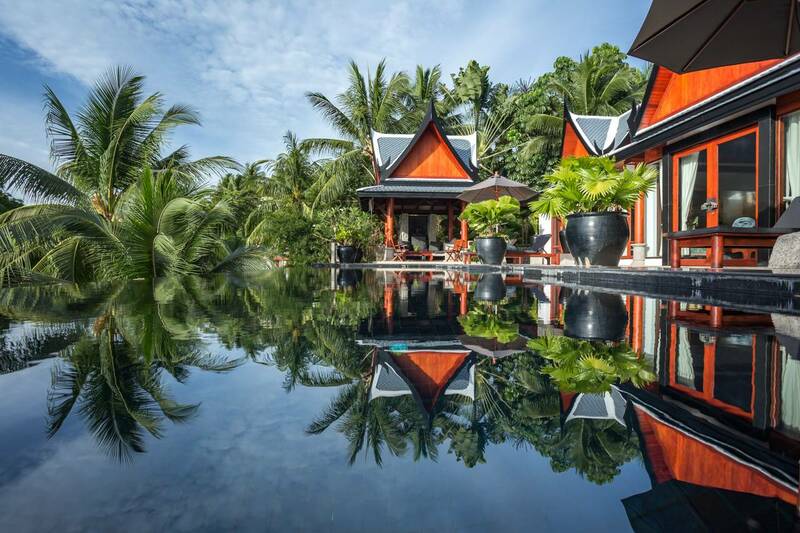 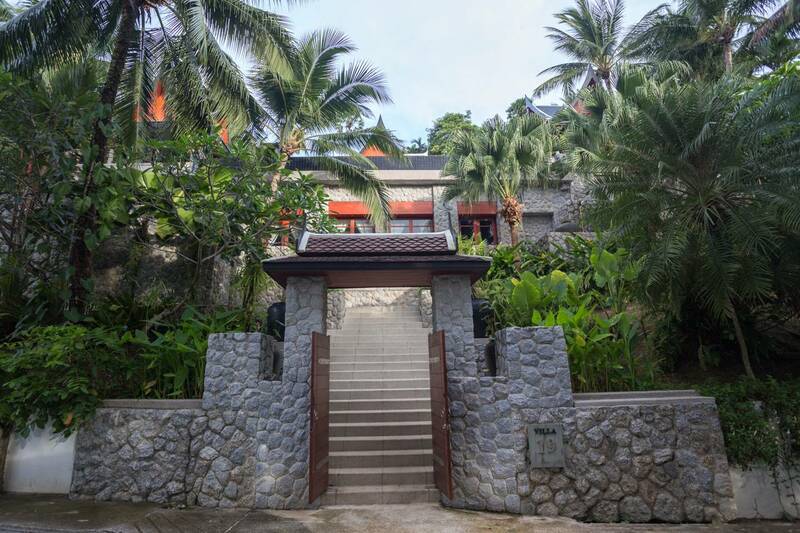 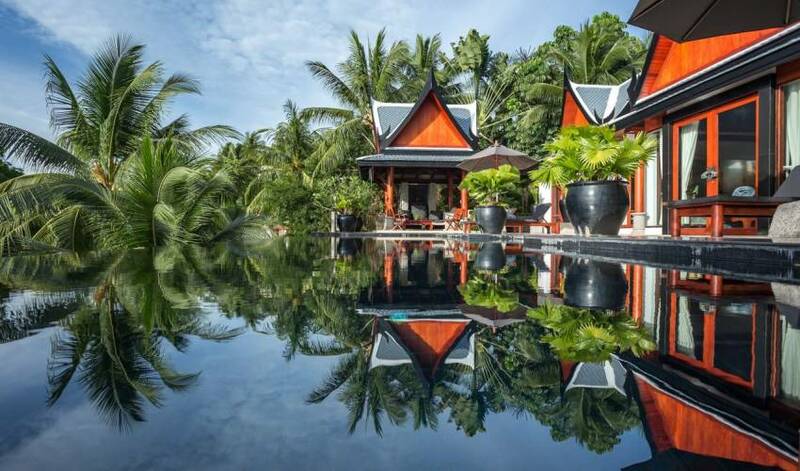 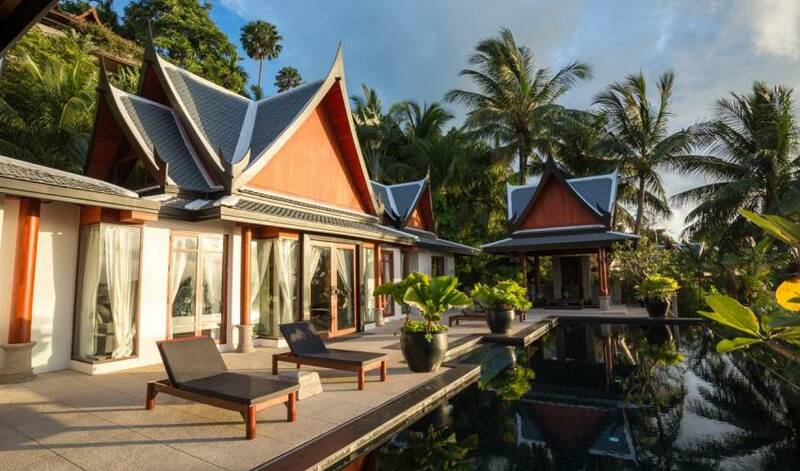 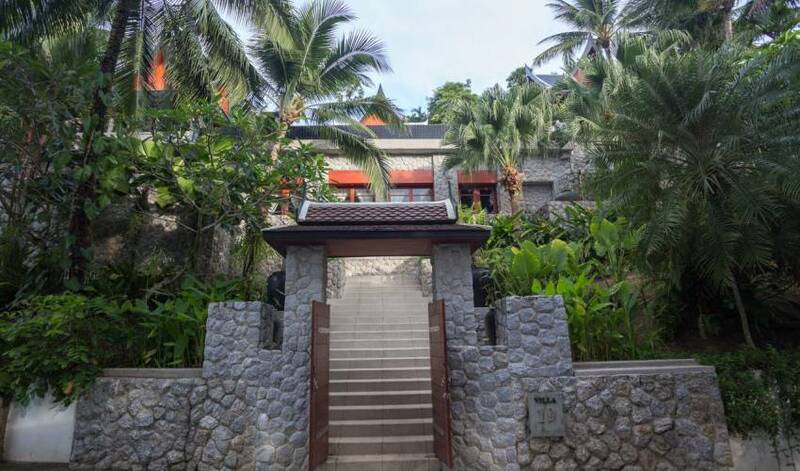 The villa flows down the hill and is spread over two level and is surrounded by lush greenery and garden, the upper level boasts sweeping views of the sea and the living areas have comfortable seating and shows off the extensive use of teak wood and traditional Thai design. 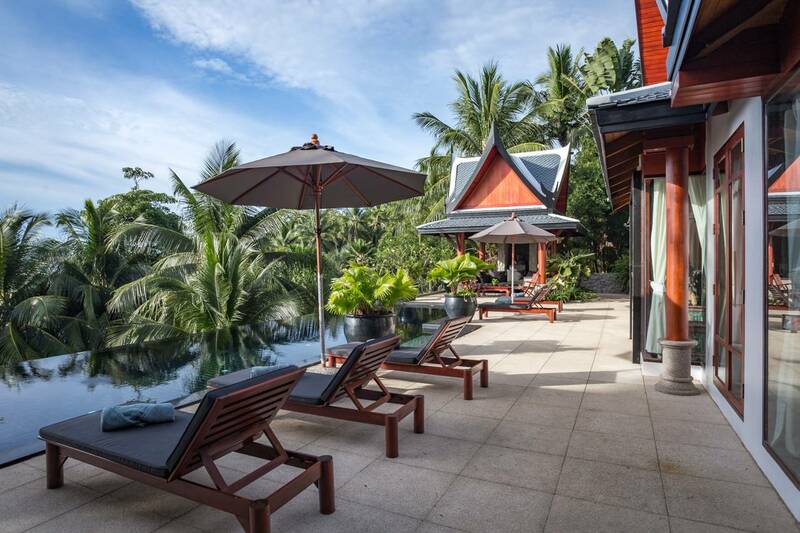 Outdoors the salas and loungers overlook the infinity pool and are enjoys views of the ocean and fantastic sunsets. 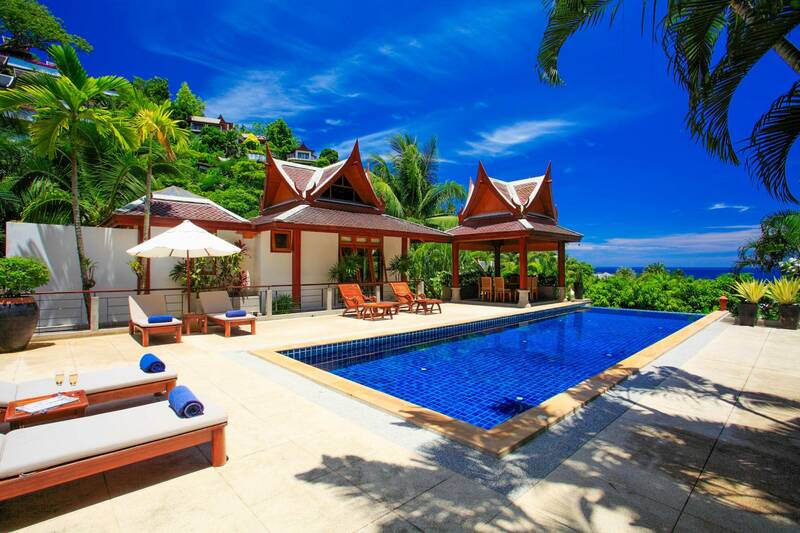 Surin Beach is just a 10-minute walk from the villa.